14.542 for Stormy Scott in group A qualifying. Tyler Erb was quickest overall at 14.542 seconds. Stormy Scott and Earl Pearson Jr set the front row for the first heat race of the night. Green, they run even into turn one. They’re four wide at the back. 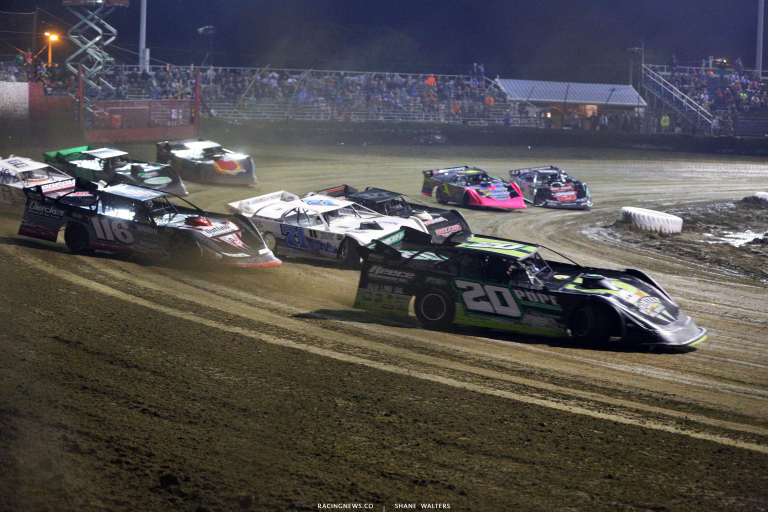 Bloomquist is tangled in turn two, caution. Green, Earl Pearson Jr leads into turn one. They’re four wide again at the back. Overton is the biggest mover out of that. Earl Pearson Jr is driving away. Josh Richards scraps the wall heading into turn one. Earl Pearson Jr drives off to the win in heat race number one! 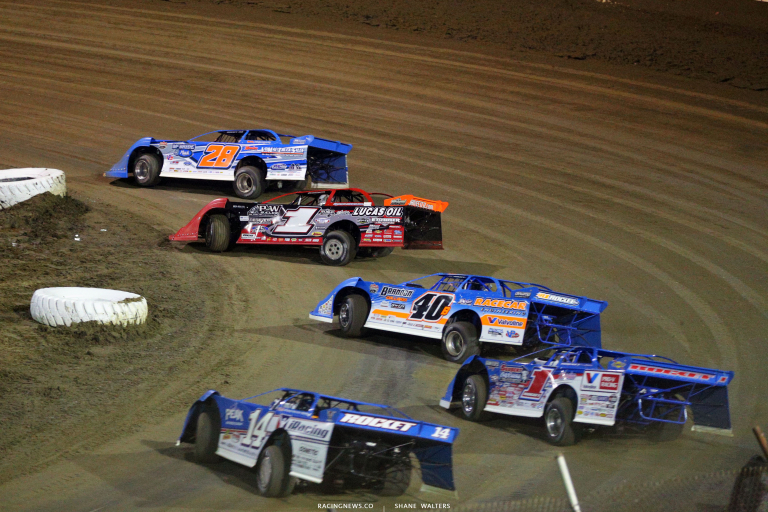 Brandon Sheppard and Kyle Bronson lead them to the line in heat two. Green, Sheppard leads on the bottom. Bronson is losing ground around the top. Two cars look under him off turn four. He has to lift and Bronson falls to 4th or 5th. Bronson is working on lost ground. He’s up to 3rd. Lap 7, the caution is out. Green, Sheppard leads. Bronson swings from the top to the bottom to claim 2nd. McCreadie is on the gas around the top. He’s showing some speed and now pressuring Bronson for 2nd. Sheppard takes the win in heat two! Brian Shirley and Shanon Buckingham head for the flag stand in heat three. Green, Shirley slides him in turn one. They run four wide at the back. They ran out of room back there and the caution is out for a spin. Green, Buckingham holds him off around the top. Shirley is hanging with him. Davenport is closing on Shirley. Shirley is closing on the leader. It’s a three way battle for the lead with two laps to go. They all run out of time and finish nose to tail. Buckingham takes the win! Tyler Erb and Colton Flinner set row one in heat four. Green flag, Erb wins the race to the bottom. Gregg Satterlee and Don O’Neal are all over the bumper of Flinner for 2nd. They run nose to tail around the bottom as Erb drives into the distance. Tyler Erb cruises to the win in heat four! Jimmy Owens and Tanner English line up first in heat five. Green, Owens slides from.the bottom to the top and clear. Hudson O’Neal bangs fenders as he climbs through the field. At the front, Owens drives away. He wins heat race number five. 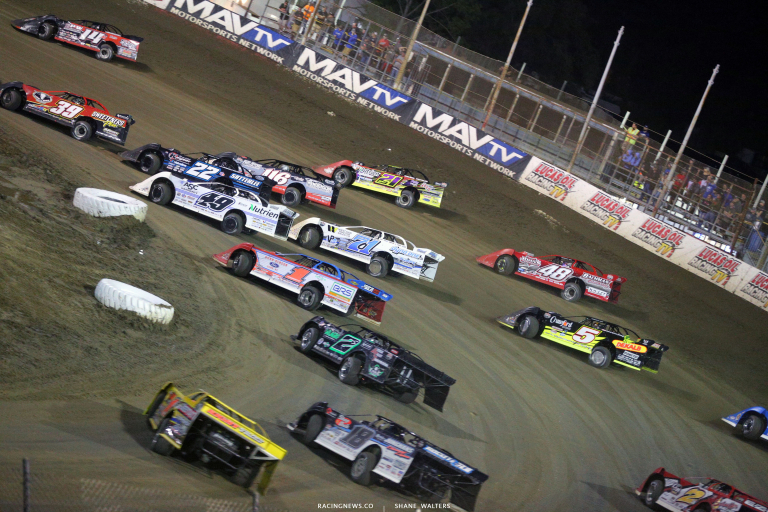 Billy Moyer Jr and Morgan Bagley head for the start in the final heat race of the night. Green, Bagley lifts early. He crosses from the top to the bottom at corner entry. That was planned. He runs side by side for the lead. 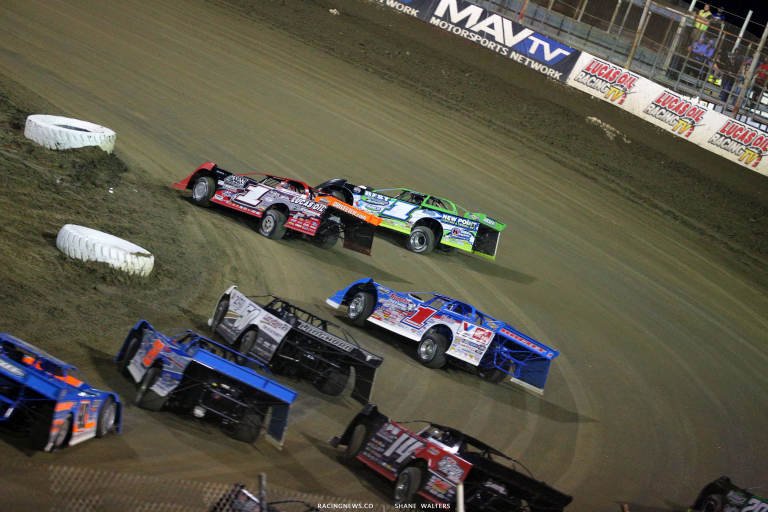 Moyer holds it off turn two. Bagley is all over his bumper into turn three. He run a car length lower in turn one. He pulls to his number. 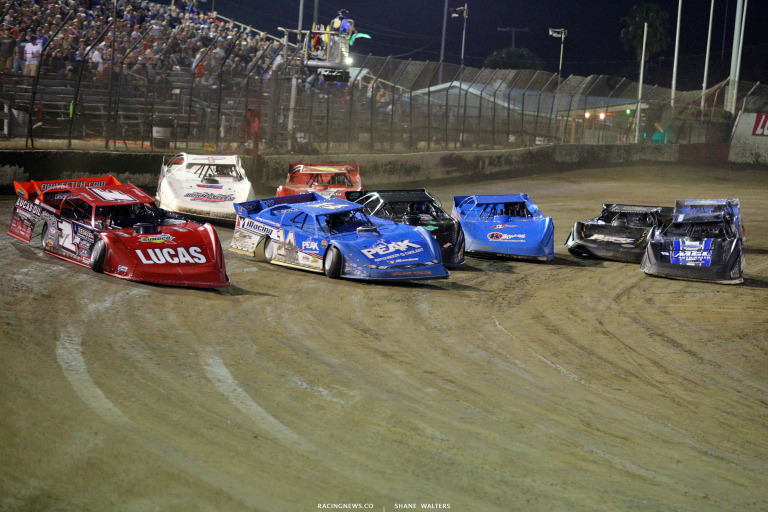 Billy Moyer Sr and Devin Moran are closing on the battle. 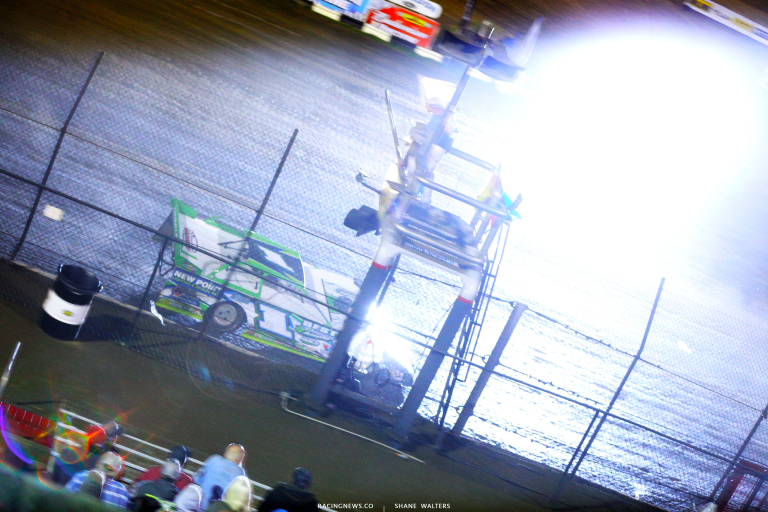 The backend steps out on Moyer Jr off turn four. That was all Bagley needed. He drives it deep into turn three, clear. It’s another 30 lap main event at East Bay Raceway Parl paying $5,000 to win. 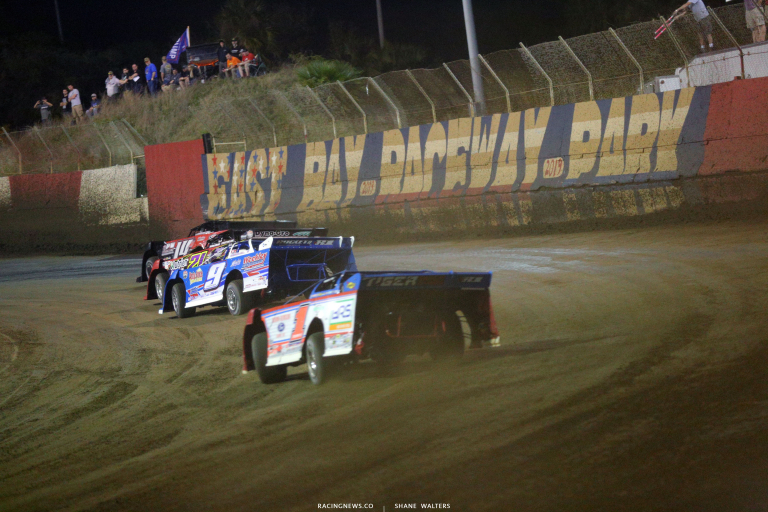 Earl Pearson Jr and Tyler Erb trial the pace truck and lead the field to the start. Green flag, Pearson and Erb fight for the bottom lane into turn one. 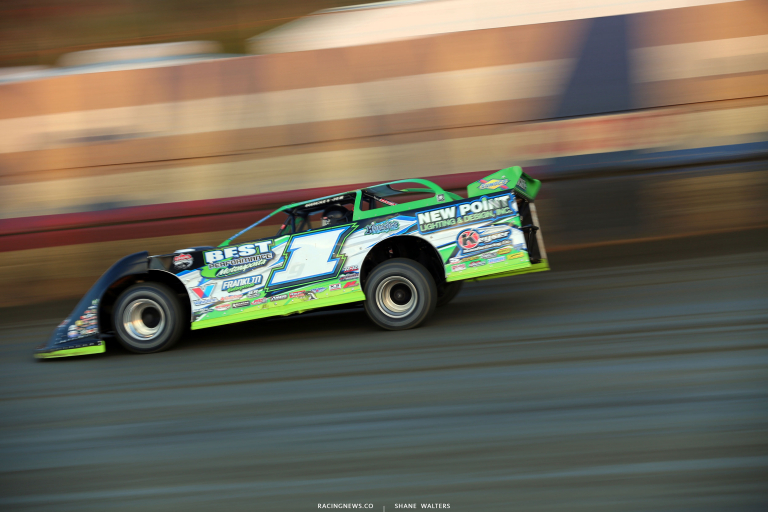 Erb carries more momentum through the center and leads off turn two. Lap 2, Satterlee is four wide mid pack. He checks up as he closes quickly on the bumper of McCreadie. Hudson O’Neal gets into the back of Satterlee due to the accordion but they’re still rolling. 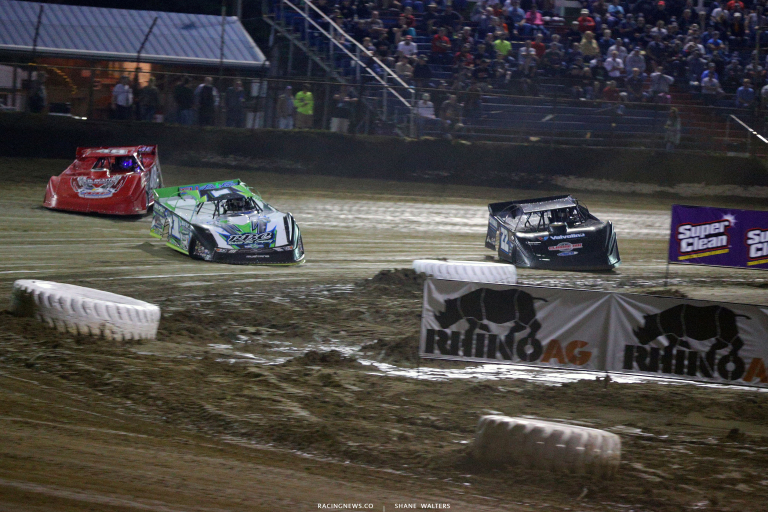 Lap 5, Gilpin and Bloomquist head to the infield. We remain green. Lap 8, the caution is out. Green, Erb leads on the bottom. Pearson heads for the top. 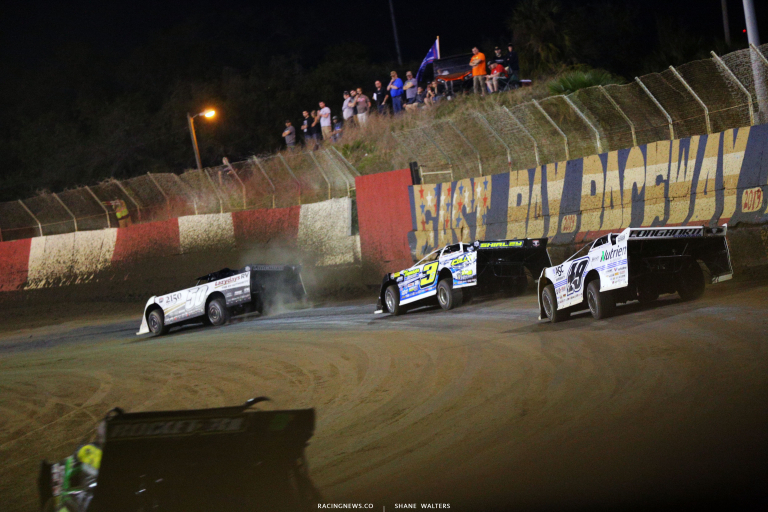 Dennis Erb Jr and Kyle Bronson drive by Pearson on the bottom. Josh Richards pulls even with him as well but Pearson holds him off. Lap 15, Tyler Erb leads by 15 car lengths. Dennis Erb, Pearson and Bronson all trade 2nd back and forth. Lap 18, Bronsom holds 2nd. Lap 20, Pearson takes it back. Lap 24, Pearson is running down Tyler Erb! The leader works lap traffic. Pearson is within four car lengths. Last lap, Pearson is out of time! 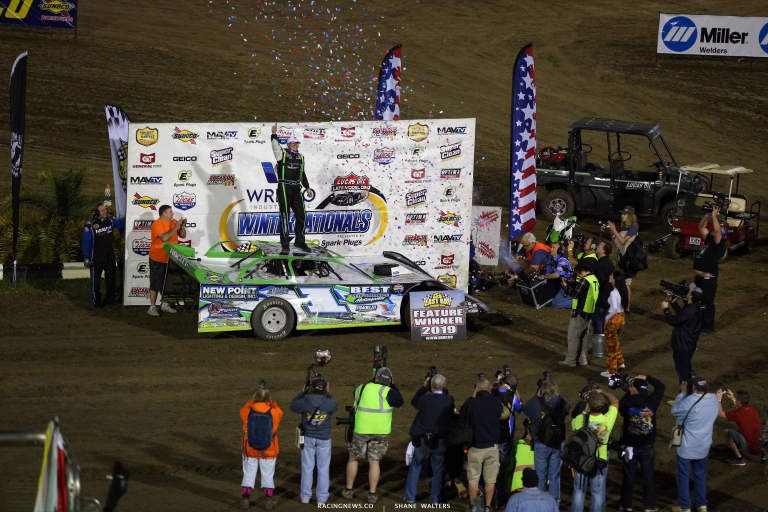 Tyler Erb takes back to back wins at East Bay Raceway Park! 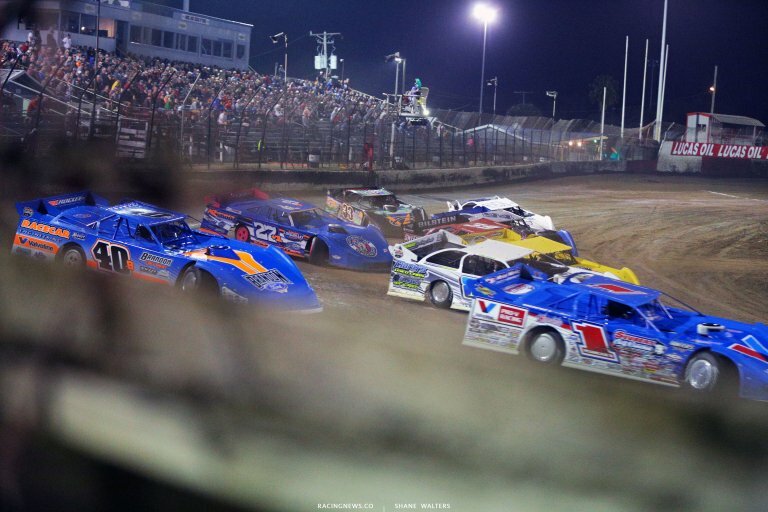 View full East Bay Raceway Park results from Tampa, Florida below.